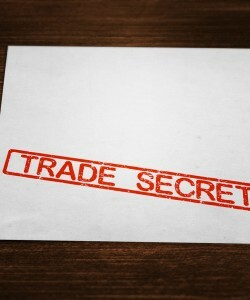 Many enterprises invest a significant amount of time and money into developing trade secrets, and they often go to great lengths to protect these trade secrets to maintain their competitive edge or niche in the marketplace. Despite requiring employees to sign confidentiality agreements or taking other measures to protect their trade secrets, however, these secrets can be obtained through illegal, unethical or criminal means and can, consequently, seriously jeopardize a business. Denver Trade Secrets Attorney Thomas E. Downey has been successful at helping people and businesses with trade secrets misappropriation claims since 1983. Defend themselves against allegations of stealing trade secrets. In Colorado, the Uniform Trade Secrets Act (C.R.S. §§ 7-74-101 through 7-74-110) protects trade secrets from misappropriation. This means that anyone who shares or steals trade secrets, incites others to share or steal trade secrets or otherwise obtains or misappropriates trade secrets can be sued and subject to serious penalties (potentially even punitive damages). Challenging or very difficult for others to duplicate or acquire on their own. If you need assistance with any type of trade secrets misappropriate claim, you can count on Denver Trade Secrets Lawyer Thomas E. Downey. Since 1983, Thomas Downey and the other legal professionals at Downey & Associates, PC, have been providing individuals and businesses in the Denver Metro Area and throughout the U.S. with the highest level of legal service for their litigation, property tax and real estate legal issues. Our dedication to our clients, coupled with our extensive experience handling complex matters of intellectual property law, means that our clients can always trust that we will aggressively protect their rights and help them achieve the best possible outcomes to their sensitive legal matters. A choice to work with our Denver trade secrets attorney can give you confidence that, at every stage of the legal process, your claim will be handled with expert care and attention and that we will work diligently to help you resolve your case as favorably and efficiently as possible. We have the integrity, experience and resources necessary to ensure that you will receive the highest level of personal service, the highest quality legal services and, ultimately, the best possible resolution to your case.